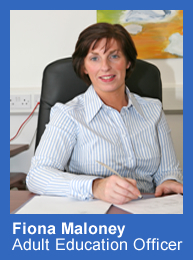 County Cavan Vocational Education Committee is a statutory educational authority that provides a comprehensive range of full-time, part-time education, training and support services. It aims to provide education for life in an innovative, responsive, caring and flexible learning environment. It is committed to providing the maximum access to persons of all ages and backgrounds and to achieving quality and excellence in all aspects of its work. It does this through its own schools, college, learning centres and in conjunction with other providers of education and training in the county to meet the changing technological, economic, social and cultural needs of the community. Cavan Institute offers a wide range of post-leaving certificate courses and it has extensive links with other further educational establishments, whereby learners can progress to Diploma, Degree and Higher Degree programmes. Youthreach is an integral part of the national programme of second-chance education and training in Ireland. The programme is directed at unemployed young early school leavers aged 15-20 and it operates on a full-time, year-round basis. County Cavan VEC runs three Youthreach Centres, in Cavan, Kingscourt and Cootehill. The curriculum in Adult Education is now as varied as the learners it serves and great emphasis is placed on the provision of accreditation opportunities and routes of progression. Delivery at a local level is also characteristic of the service. Learning programmes are available in the local schools, Cavan Institute, outreach and community settings as well as the workplace. Community Education •	Outreach I.T. Under the Youth Work Act 2001, Co. Cavan VEC has the statutory responsibility for the integration and co-ordination of youth work provision in the county. Co. Cavan VEC employs a Youth Officer who is responsible among other things for supporting new and existing youth clubs and groups, administering local youth club grants and conducting audits of youth services to identify gaps or opportunities. Co. Cavan VEC provides teaching services to the Open Detention Centre in Blacklion, which caters for up to 130 men aged 18 and upwards. 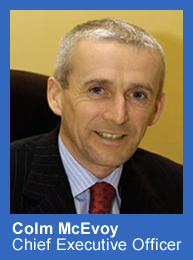 Nine full-time teachers are employed by Co Cavan VEC to provide education to prisoners at this facility.